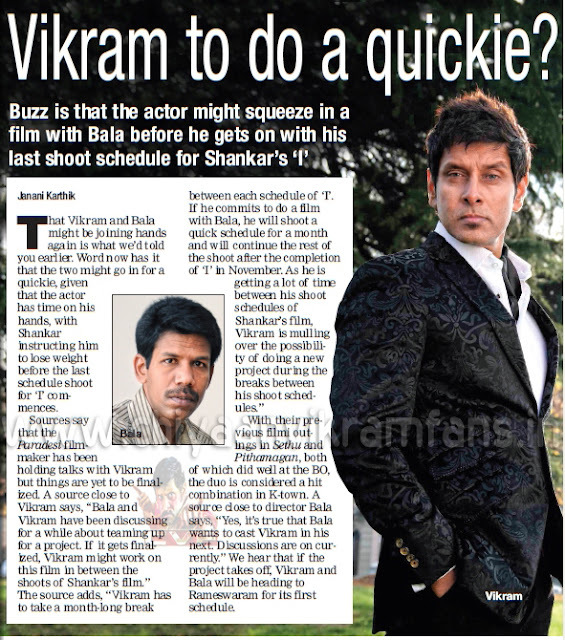 Home » Latest Buzz » Vikram to do a quickie? Vikram to do a quickie? That Vikram and Bala might be joining hands again is what we’d told you earlier. Word now has it that the two might go in for a quickie, given that the actor has time on his hands, with Shankar instructing him to lose weight before the last schedule shoot for ‘I’ commences. With their previous filmi outings in Sethu and Pithamagan, both of which did well at the BO, the duo is considered a hit combination in K-town. 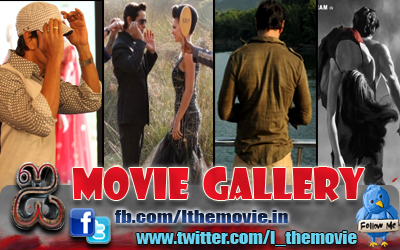 A source close to director Bala says, “Yes, it’s true that Bala wants to cast Vikram in his next. Discussions are on currently.” We hear that if the project takes off, Vikram and Bala will be heading to Rameswaram for its first schedule.